Sri Lankan President Maithripala Sirisena today assured the minority Tamil community that his government was not running any secret detention and torture camps in the country. 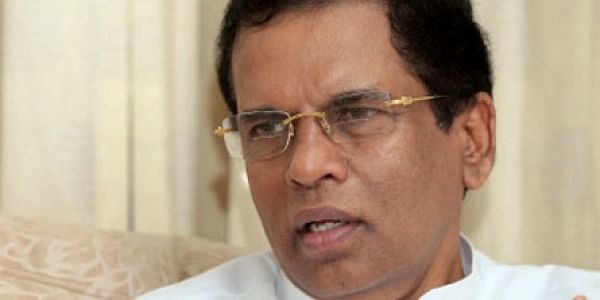 COLOMBO: Sri Lankan President Maithripala Sirisena today assured the minority Tamil community that his government was not running any secret detention and torture camps in the country. Sirisena said he was concerned about the persons who are still missing years after the end of nearly three-decade-long brutal civil war. "I have several times met the relatives of the disappeared persons. I am concerned about their problem of the missing relatives," Sirisena said while campaigning in the Tamil-dominated Jaffna city for the February 10 local council election. "They have told me that the missing people are being held by the government in secret detention camps. I made inquiries and I tell them on behalf of the government that there are no such camps run by the government," he said. Sirisena said his government had addressed the concerns of the Tamils by returning to them their land that had been held for military purposes since the mid 1980s. The Tamil and international rights groups had blamed the former Mahinda Rajapaksa government of running secret detention and torture camps. The relatives of the missing persons have regularly held public demonstrations, demanding urgent government attention to their concerns. The government has set up an Office of Missing Persons (OMP) which is yet to become operational. The OMP was one of the accountability mechanisms advocated in UN Human Rights Council resolutions on Sri Lanka since 2013. The UN panel called for the establishment of independent international court to probe alleged war crimes committed by both the Liberation Tigers of Tamil Eelam (LTTE) and the government troops during the last stages of the civil war which ended in 2009. According to the government estimates, around 20,000 people are still missing due to various conflicts including the 30-year-long separatist war with Lankan Tamils in the north and east which claimed the lives of at least 100,000 people.